Creating a storm by smoking marijuana during a live podcast that led to Tesla stocks crashing 10 per cent to hit the lowest level since 2016, Chairman and CEO Elon Musk on Saturday announced a major shake-up in the top echelons of the electric car-making company. 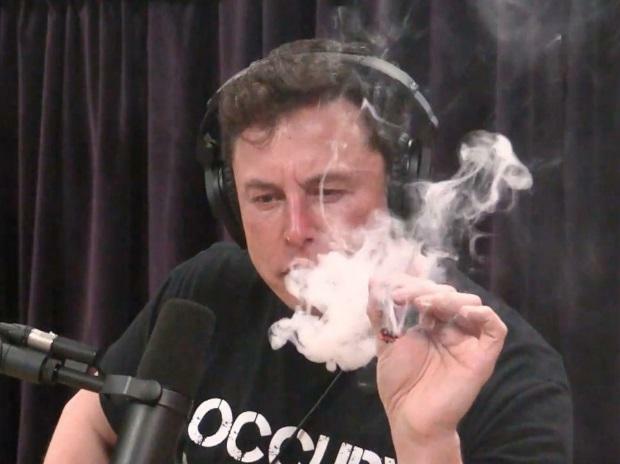 Tesla's shares tanked on Friday after its two top executives --including chief accounting officer Dave Morton -- announced they would quit after Musk was filmed smoking marijuana during a podcast hosted by comedian Joe Rogan. In a new blog post, Musk announced a number of top management changes after discussing with the Tesla board of directors and executive staff. "Jerome Guillen has been promoted to President, Automotive, reporting directly to me. In his new role, Jerome will oversee all automotive operations and programme management, as well as coordinate our extensive automotive supply chain," said Musk. Kevin Kassekert has been promoted as Vice President of People and Places, with responsibility for human resources, facilities, construction and infrastructure development. "As many of you know, Tesla's Chief People Officer Gaby Toledano has been on leave for a few months to spend more time with her family and has decided to continue doing so for personal reasons," Musk added. Chris Lister who joined Tesla last year and was key to solving production problems at the Gigafactory in Nevada and ramping Model 3 production has been promoted to Vice President, Gigafactory Operations. "In this role, he leads our production and manufacturing engineering at Giga. Before Tesla, Chris ran several ultra-high volume factories at PepsiCo," Musk informed, adding that Laurie Shelby, Tesla's VP, Environmental, Health and Safety (EHS) will also report directly to him. "We are about to have the most amazing quarter in our history, building and delivering more than twice as many cars as we did last quarter. "For a while, there will be a lot of fuss and noise in the media. Just ignore them. Results are what matter and we are creating the most mind-blowing growth in the history of the automotive industry," Musk wrote. Dave Arnold has been promoted to Senior Director, Global Communications, overseeing Tesla's communications team. Musk also announced a new product lineup. "There is the Model Y, the Tesla (pickup) Truck, the Semi and the new Roadster. Then there is the Solar Roof, which is spooling up in production, and continued advancements in Powerwall and Powerpack. And that's just what people know about," he said. On Friday, Tesla shares dropped to nearly $252 -- their biggest single-day drop in two years after Musk was seen smoking weed on the show.